There is no doubt penurious MLB baseball owners from the Dead Ball Era to Andy Messersmith had things pretty much exactly the way they wanted it. Their players belonged to them until they grew tired of them and therefore had no leverage when it came to asking for more money. Where were they going to go? New York to Topeka? There is a famous story that late Pittsburgh Pirates’ Hall of Famer Ralph Kiner loved to tell. He was one of the game’s feared sluggers during the 1940s and 1950s and at one point he led the Majors in homers in six straight seasons, the last of which was in 1952 when he hit 37. So after the 1952 season, this Mike Trout of the war years decided he’d ask his general manager for a raise. Branch Rickey was the GM, the same guy whose steely nature helped Jackie Robinson break the color barrier with the Brooklyn Dodgers. But Rickey was cheap, just like all his pals in the front office. So, when Kiner asked Rickey for more money, Rickey stuck his cigar back in his mouth, took a puff, looked up at his slugger and said he was thinking about cutting his salary because the ballclub had finished in last place. Kiner obviously was not happy and he told Rickey as much. Rickey was unmoved. You get the point. It took two more decades, Curt Flood and Marvin Miller, before the players finally were able to dig in and for the last 40 years they have made the modern-day owners pay for the sins of their fathers. But for the last two seasons, after the madness that made Robinson Cano, Giancarlo Stanton, Joey Votto, Albert Pujols and Miguel Cabrera, among hundreds of others, insanely wealthy, the pendulum has begun to swing slowly backwards. And the players and their agents do not like it one bit. Some call it fiscal restraint. The Players Union prefers collusion. But however you term it, the majority of MLB owners are taking themselves out of the business of dishing out crazy cash simply because it is expected of them. That’s not to say some players are not becoming very rich. Goodness gracious, the New York Yankees – no surprise – just gave DJ LeMahieu a two-year, $24 million deal and he might not even play second base every day. 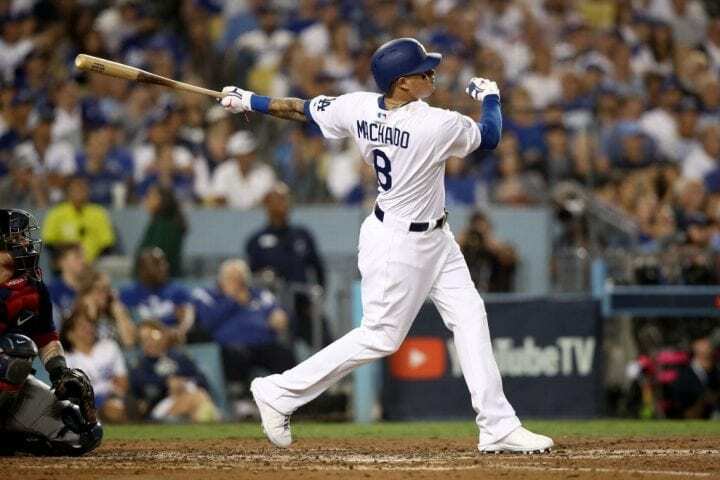 What has made the players upset is that there seems to be only three of four teams in the bidding for this season’s pair of prizes, Manny Machado and Bryce Harper. They feel there should be more of a buzz, a feeding frenzy among teams that should feel an obligation to pay — just because. 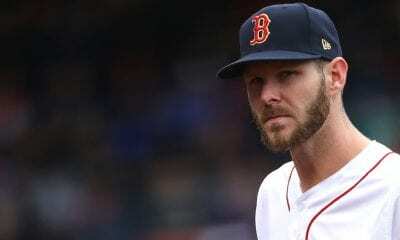 And what about all the other studs on the market – pitchers Dallas Keuchel and Craig Kimbrel, outfielder A.J. 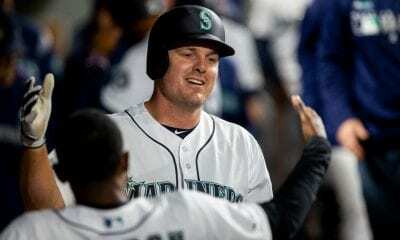 Pollock, infielder Mike Moustakas? Who is going to pay them? It’s all pretty funny. This is not to say MLB owners aren’t wealthy. League revenues were just under the Jeff Bezos’ line last season at $10.3 billion. People are raking it in. And yet, the average MLB salary dipped about $1,200 in 2018 to a still robust $4.095 million. This has happened for a number of reasons, one of which certainly is team austerity. The Oakland A’s paid only one player, Khris Davis, over $10 million in 2018 and still made the playoffs. So the lean business model can be successful, if your GM is Billy Beane. It also seems the new way players are being evaluated, micro-manipulated by metrics, is beginning to hurt them as much as it can help them. Let’s call it the Homer Bailey Rule. In 2014, the Cincinnati Reds gave the righthander a six-year, $105 million deal that paid him $21 million in 2018 when he was 1-12 with a 6.09 ERA. That is not a very good WAR, would you say. He was due $23 million this season, the big reason the Reds dealt him to the Los Angeles Dodgers in the Matt Kemp, Yasiel Puig deal. The Dodgers took the salary to rid themselves of Kemp and Puig and then released him. 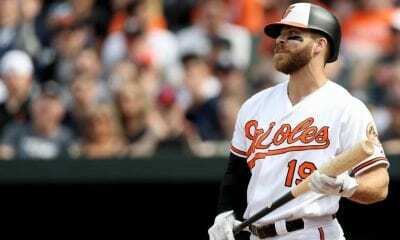 In other words, there is no longer a great rush to reward a player like Baltimore’s Chris Davis a seven-year, $161 million deal, like the Birds gave him when he was 30 in 2016, after he hit 47 homers in 2015. That’s because Davis has struck out 606 times since, his average has dipped from .221 (2016) to .215 (2017) to .168 last season and he hit only 16 homers in 470 at-bats. If the owners don’t collude to prevent that from happening again, then something is wrong with their system. Do you think the Los Angeles Angels are looking forward to paying Pujols $28 million this season after he hit .245 in 2018? Those type of deals are never going to happen again. And if they do, the clubs have only themselves to blame. The players have to deal with it. From now on, the type of contract Machado and Harper, both 25, will likely earn will be given to them by clubs who are absolutely certain they will make enough money BECAUSE OF THEM to pay them. That means big-market teams, not the Tampa Bay Rays, Kansas City Royals and Pittsburgh Pirates. The player demands shrink the market more than their stats inflate it. It’s the new normal. 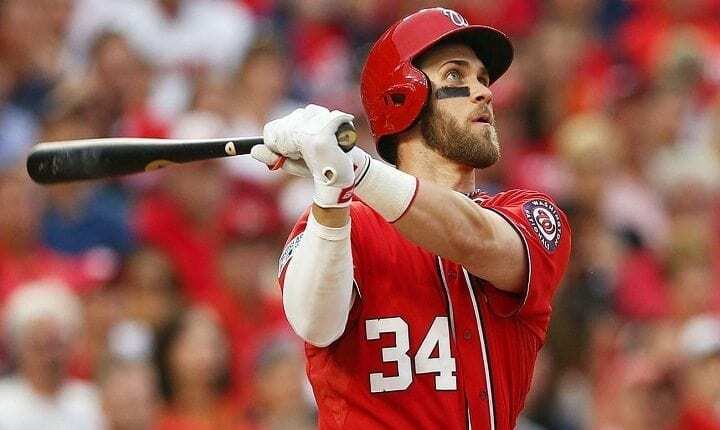 And when you really think about it, how does a club justify giving Harper, a player who hit .248 in 2018, $300 million over 10 years. Is it stated somewhere that Harper must be paid that? Imagine what Ralph Kiner would have made in 2014 after putting up those kind of numbers? You’d hope he did because he’s not going to make it in 2018 or beyond. What goes around, comes around.